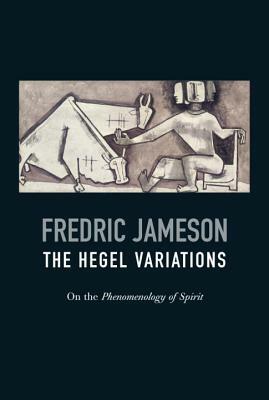 In this major new study, philosopher and cultural theorist Fredric Jameson offers an innovative reading of a book that forms part of the bedrock of modern Western thought: Hegel’s Phenomenology of Spirit. Whereas other writers have interpreted the Phenomenology as a rigidly closed system, Jameson discovers it to be a more fluid, open-ended work. Hegel’s mind is revealed to be a less systematic mechanism than normally thought, one whose ideas never solidify into pure abstractions. The conclusion of the Phenomenology, on the aftermath of the French Revolution, is examined as a provisional stalemate between the political and the social—a situation from which Jameson draws important lessons for our own age. Fredric Jameson is Distinguished Professor of Comparative Literature at Duke University. The author of numerous books, he has over the last three decades developed a richly nuanced vision of Western culture’s relation to political economy. He was a recipient of the 2008 Holberg International Memorial Prize. He is the author of many books, including Postmodernism, Or, The Cultural Logic of Late Capitalism, The Cultural Turn, A Singular Modernity, The Modernist Papers, Archaeologies of the Future, Brecht and Method, Ideologies of Theory, Valences of the Dialectic, The Hegel Variations and Representing Capital.